Interview with Kamui Kobayashi, driver of Toyota in season 2009. Interview both in english and japanese. Official video from Panasonic Toyota F1 Racing. The Vodafone McLaren Mercedes team travels to Silverstone for one of the team’s home races of 2008, the Santander British Grand Prix. Abbey Vidcast – Interview with Lewis Hamilton ahead of the Santander British Grand Prix. Shakedown Luca Badoer – Fioran. Video intervista esclusiva al Direttore Gestione Sportiva Scuderia Ferrari. Exclusive interview with the brand new Gestione Sportiva Director, Stefano Domenicali. 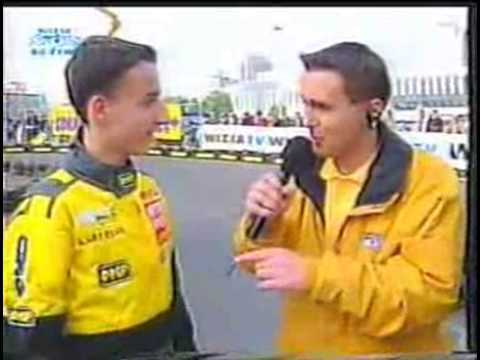 Interview from 1998 year with 14th years old Robert Kubica for polish tv channel Wizja TV.